DR Koncerthuset, Studie 2 presents big band concerts and a wide range of other jazz concerts all year round and the studio is well known for its great sound. The design of the studio is inspired by the big production studios in Hollywood. 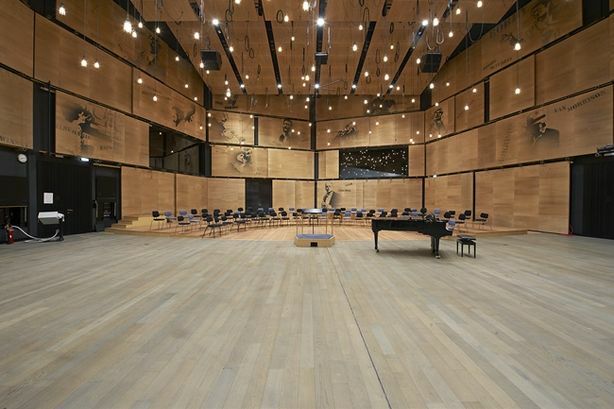 On the plywood walls hang large panels with portraits of selected soloists, conductors and composers printed on them as decoration. Look for the portraits of Miles Davis, Thad Jones, Niels Henning Ørsted Pedersen and many others.